A small community meeting was held in Jinthupitiya, Colombo on 29th July 2018. The group is facing many issues. One lady has been trying to locate the whereabouts of his son, who was abducted in Wattala years ago. Having written to over 10 government institutions to no avail, she is now turning to RTI to follow up on those complaints. She has some evidence – like the van license plate number – but no justice. Another complaint from many, is the lack of housing. A few have been trying to get State assistance, but have been turned away at every juncture. 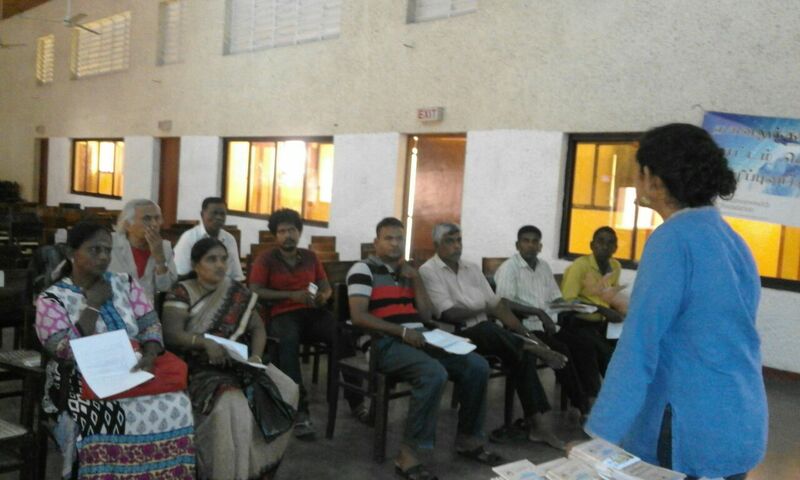 A total of 10 RTIs were facilitated at the meeting. Mr. Wickramabahu Karunaratne who was a participant at the meeting, spoke at the end, mentioning that he was happy to see a group of women actively working on RTI – and that in the Marxist thinking, feminism would lead to proper governance. While commenting on the value of the knowledge shared, he committed to gathering more people together to have another meeting of this nature.